What Are the Health Benefits of the Back App Ergonomic Chair? With back pain costing the UK economy £15 billion a year and resulting in 41% of all work related illnesses (HSE), it’s more important than ever to invest in the right chairs for your staff. The Back App chair was invented by Dr Freddy Johnsen. After years of back problems he discovered a new way of creating the ergonomic chair. The Back App is uniquely designed to ensure a natural sitting posture & engage your balance motor. The idea is to balance on the central ball with your feet on the foot ring. The challenge of balancing gently exercises the core muscles that support the spine as the spine seeks the optimal position. Being sedentary all day can increase your blood sugar and can contribute to weight gain. However, balance training increases your energy consumption by 19% compared to a regular office chair. Gently exercising the muscles in your lower back also helps with back pain and posture. A scientific study showed that people with lower back pain experienced a reduction in pain after sitting for 1 hour on a Back App compared to an ordinary office chair. Kieran O’Sullivan, Lecturer in Physiotherapy explains more below. This is logical. You’re sitting with better posture, your balance motor is working, you’re exercising the muscles in your lower back and therefore you should get less back pain. 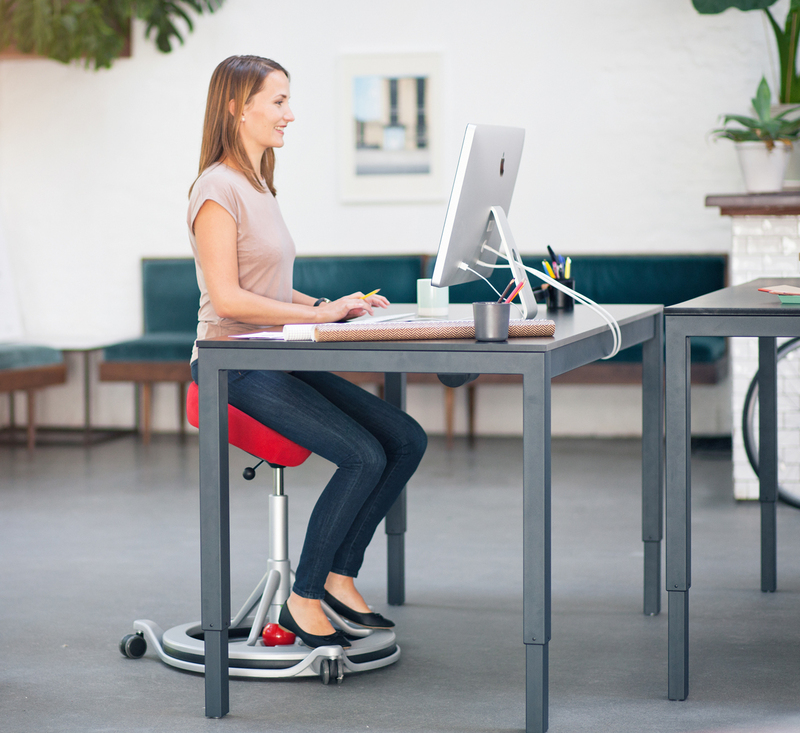 We are not designed to be sedentary all day, but with a large proportion of us working in offices and at desks this can be tricky. We need to make our working environment as ergonomic & adaptable as possible to keep our health in check! Due to the unique design the price of the Back App comes in a little over the ordinary office chair – but far outweighs the health benefits. We’re offering up to 20% off the Back App for a limited time only!